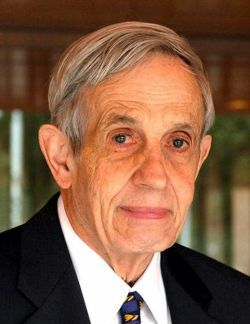 “John was obnoxious but had a beautiful mind,” was the description of John Nash quoted by his decades long friend, mathematician Harold Kuhn. This gave the name to the award-winning 2002 film about John, “A Beautiful Mind.” You perhaps heard recently the sad news of the deaths of John and his wife Alicia in an automobile accident, returning home from the airport after having spent the week in Norway to receive the prestigious Abel prize in mathematics. CBS news.com has re-posted a 2002 Mike Wallace, Peter Klein interview with John and Alecia and others close to the couple. This interview is fascinating for several reasons but I’m focusing here on one very telling comment made by Harold Kuhn. Absolutely essential in raising a healthy child and critical to continued healthy adult functioning is being recognized as a genuine human being by other humans one encounters in moving through life. One of the biggest problems with consigning a person to an institution is the likelihood that the reduced contact with people at large as well as being treated as an institutionalized person will create new difficulties for such an individual as well as likely exacerbate the initial difficulties that led to his being institutionalized in the first place. One of the changes brought about by family therapy is that frequently the identified patient that brings the family in has become marginalized, seemingly due to troublesome behavior, so that a syndrome has been set up which feeds on itself. The therapist, usually recognizing what’s going on, begins to guide changes in the interaction patterns of the family members so that the identified patient begins to have the feeling of being accepted and even being understood in a way he had not felt before. This change in his emotions becomes a strong element in his being able to modify his troublesome behavior and become recognized and appreciated in his family for the positive contributions he is then making. For all of us to be psychologically healthy, functioning humans we need to receive from other humans at least acknowledgment, some basic recognition from those about us that we are fellow human beings. In addition it is very important that we receive acceptance, to be included in a certain group of other humans.All of us want recognition, to be acknowledged. Even very private people thrive under the contact and acceptance they get from whomever in their lives are important to them. It is crucial for parents of teenagers to be keenly aware that recognition and acceptance by people outside the family are more crucial at this stage in life than any other time. A teenager is driven to belong. Failing to receive acceptance from more healthy groups will lead him to search about until he finds a place of belonging, even if his chosen friends are alarming to his parents. The third need is to receive appreciation for positive contributions we are making to the group. The fourth step up is affection, words and treatment from others that show that people do like us and even some love us. Lastly, we hunger to have at least some people approve of who we are and what we are doing. 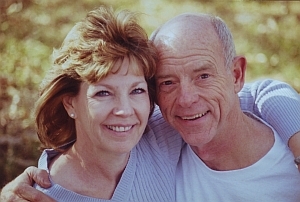 A true conundrum for parents so often is that, though teenagers seemingly are so wounded by parents’ strong disapproval of some of their behaviors, they seem so bent on doing the very behaviors that caring parents are simply forced to disapprove. As parents we set the pattern for how each child is perceived by other human beings. Acknowledgment, acceptance, appreciation, affection and approval all five are deep needs that every child yearns for his parents to supply. Supplying these five creates a deep sense of security in the child which continues to pay rich dividends through all the following years. One of the more interesting courses I took during my undergraduate years at Baylor was a sociology course on juvenile delinquency. In both lecture and textbooks Dr. Osborne led us through the history of juvenile delinquency and, one by one, through the prevailing explanations for why juvenile delinquency occurred. This meant considering the theories of what caused juvenile delinquency and searching out available research to test the accuracy of these theories. Later, using the same approach, we addressed the available ideas on what needs to be done to reduce the incidence of juvenile delinquency. There are several things that I learned from this course, the first being that any course well taught can teach you a lot more than merely the content of the subject. The next thing I learned was that I was developing a powerful interest in social problems and a strong desire to do something about them. I was realizing that social problems are primarily people to people problems. I also realized that the best of theories only have so much to offer in explaining a social phenomenon and, however accurate a theory may be, it had to be linked with other theories to more fully explain what was going on in the real world of flesh and blood humans I also became strongly interested in collecting information – doing research – to see if a given theory accurately described what was really going on with people. It was clear to me that virtually everyone had an opinion about the causes of juvenile delinquency and the best solutions to the problem. I also realized that there were many interesting ideas to be offered on any subject and that the implementing of any idea probably impacted some other areas of society in ways not initially anticipated – the law of unintended consequences. Working in construction during the summer of my high school years the contractor who directed the work of rowdy teenage males was some what a blue-collar social commentator. He liked to share what was on his mind, frequently stated somewhat tongue-in-cheek. One day on a break he said, “I know how to solve unemployment and juvenile delinquency at the same time.” We were obviously curious and he responded. “Send all the working mothers home. Giving these jobs to men will eliminate unemployment. Having mothers at home to raise the kids instead of having them run the streets will eliminate juvenile delinquency.” His implied cause of juvenile delinquency was that it came from children not being sufficiently mothered. I could see some truth in what he was saying from my observations of the world I was growing up in but instinctively believed that it was not so simple. I also instantly, and humorously, wondered where we would get all the men to suddenly become nurses, teachers, waitresses and secretaries. I also wondered if his plan would allow working moms to choose for themselves or simply require them to obey as they were told. You never knew with him how serious he was, since everything was said in good humor, and how much he was merely trying to discombobulated you. By the time the juvenile delinquency course was finished, I had formed in my own mind the realization that many factors are associated with juvenile delinquency and that some seem causally related. I realized that accurate statistics tell you what is happening but not why it is happening. You have to supply the why. However, I came away with a conviction that remains with me to this day, that whatever are the causes of social problems, and you can count on a cluster of causes. A huge part of the causation and an even larger part of the resolution will be understanding what is happening in the family of origin and determining which strategies a society can embrace to most wisely respond to the needs of the family. It seemed to me that, if the world could be so ideal that all children would be born to parents who desperately wanted them and loved them and had the means to care for them, most of our social problems would be dramatically reduced. Through the years of additional education and professional careers this conviction has grown stronger. I am writing the books I’m writing to inject as much sanity, wisdom and love into marriage and family relationships, to maximize the likelihood of all children being born with such an advantage in doing life. I’m also keenly interested in the way the larger forces of society impact the family for good or ill. As I develop my blog I will be recommending other resources that seem to me to be similarly motivated, and therefore offer additional help to people who are searching. 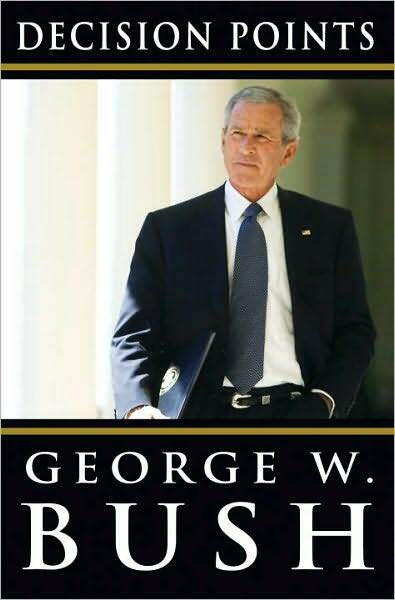 I’ve been very aware of all the interest being shown on various news and cable shows about George W. Bush’s book, Decision Points. I haven’t put reading that book in my schedule yet but intend shortly to do that. One thing his presidency well illustrates is that whatever our plans may be for a given segment of our life, things could change dramatically and we would have to deal with something we didn’t have in our plans. Whatever George Bush expected to do his first term in office, I feel certain he didn’t plan on the biggest project being the World Trade Center bombing and having to make dealing with Islamists, the all-concern of his presidency. I’m also confident he didn’t come into office planning to deal with Katrina, New Orleans, levy failures, etc that nonetheless forced him to give great time and attention to an unexpected project. Most people who have lived a few decades can look back and see things similarly unexpected that sharply redirected their lives from the course they had planned for it. It illustrates that being flexible and having the willingness to learn new bodies of information and pick up new skills is equally important as careful planning and preparation. I’ll be interested to see how these points are illustrated in George Bush’s memoir.